If you are into printables than you probably have a frame somewhere in your home that you switch out each month with a new piece of printable holiday decor. Here is a cute one for St. Patrick's Day. 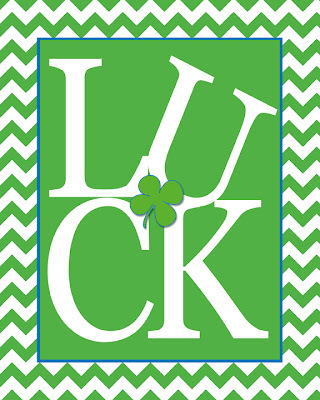 A fun, chevron bordered LUCK printable from I Should Be Mopping. You can also check out more of the St. Patrick's Day printables that I have previously featured in my archives HERE.